Today, China is not only one of the world’s fastest growing economies, but also, arguably, one of the most complex, interconnected political economic systems. This complexity is reflected no better than through China’s recent efforts to reform professional football (soccer) and develop a sustainable, globally recognised and competitive domestic league – the Chinese Super League (CSL). In this short commentary I reflect on the policy changes introduced at the state level and the effects of this on the perceived commercial value of the league, reflected in changes to sponsorship type and (monetary) value across the league. Derision for the national team’s lack of competitiveness and achievement on the international stage, allegations of corruption and problems of inconsistent governance have plagued the CSL for many years. In addition, China’s emerging consumer society is often targeted by European clubs looking to export their club products and images and their respective domestic leagues to an international audience, providing football lovers in China with a viable alternative to that on offer at the domestic level. Since 2009, China has been trying to transition its economy to one driven by domestic consumption rather than being reliant on the export of manufactured goods to international markets. Sport – and leisure and entertainment industries more broadly – are seen as ideal locations in which to nurture domestic consumption. To help reform the Chinese football industry, starting with the domestic league, state-level intervention emerged from the Chinese State Council. On 8 March 2015 the Chinese Football Reform and Development Program was introduced, spelling out immediate short-term and longer term objectives. Over the next 12 months, discussions took place on how to accelerate the development of youth football, leading to the introduction of Chinese football’s ‘Mid to Long-term Development Plan’ scheduled to run between 2016 and 2050. In 2017 the re-structured Chinese Football Association (CFA) introduced a series of policies designed to help achieve this mid- to long-term strategy, starting with the introduction on 23 January 2017 of the Chinese Football Association 2020 Action Plan. This shorter term agenda was designed simply to create something of a wave of interest in the league and its member clubs, both at home and overseas. The strategy consisted both of greater engagement with local football supporters and investment in improved facilities, and it was also designed to nurture investment in football from China’s private sector. However, the policy change also enticed private-sector Chinese organisations to invest in overseas football clubs, particularly in the European market. Alongside these developments, CSL clubs invested heavily in bringing overseas players to China on contacts that eclipsed those on offer in more established footballing nations. These developments drew further criticism from within China, leading to more policy reforms being introduced by the CFA, including a limit on the number of foreign players that a Chinese team could use on match day and also a limit on investment opportunities for Chinese enterprises and entrepreneurs in overseas clubs, amongst others. 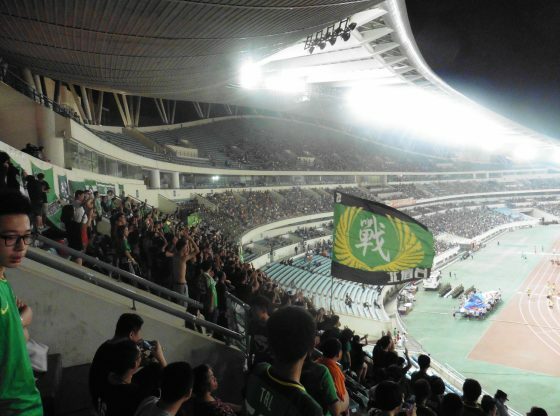 The CSL’s resulting exposure to international markets through new broadcasting opportunities also placed a strain on football policymakers, as player behaviour and referee performance drew scepticism from overseas spectators. This has since led to the introduction of yet more policy reforms, including, most recently, a programme of financial rewards for clubs to achieve a net match time of at least 60 minutes. This policy was in response to accusations that players deliberately wasted time, based on an average CSL net match time (i.e. the number of minutes out of the full 90 minutes that the ball is actually in play) of just 49.4 minutes during the 2018-19 season. The speed and intensity of the numerous policy reforms and their implementation underlines the importance to China of how its premier football league and constituent clubs are perceived both locally and globally. Measuring the effect of these reforms is difficult, particularly given how quickly they are implemented, changed and/or replaced. One way of looking at the impact of the various policy reforms is to investigate the types of sponsors that are paying to be associated with Chinese football. This helps provide an indication of which sectors are ‘in favour’ of the football agenda, and which types of firms the clubs are willing to align themselves with. Sponsorship and commercial partnerships are important both for developing sports industries and for sustaining them. In the Chinese context this is more significant, given the broader economic goal of moving to a domestic consumption-led economy. The table below lists the different categories of Chinese sponsors as displayed in the annual commercial reports provided by the Chinese Super League. The data have been extracted from the past five published reports and verified against the publicly available data from club and league websites. The numeric values in the table reflect the number of club-level sponsors associated with teams in the CSL. The table shows that since 2013, sponsorship has increased considerably across the CSL, and has continued to do so following the policy reforms introduced by the CFA. Interestingly, the data show that real estate, energy, e-business, media and tourism are the dominant sectors, accounting for almost 60 per cent of all sponsorship across the CSL in 2017, with e-business and internet-based organisations leading the way both in terms of quantity and year-on-year growth. Further, in all cases except real estate, growth was significantly higher in the years following policy reform. In contrast, there was a distancing of sponsors from the finance sector and, perhaps surprisingly, firms from the FMCG markets. The data presented here give only a very small and basic insight into one of the changes taking place in terms of sponsorship within the CSL. Although sponsorship was already on the increase prior to reforms being announced, there has been far more growth between 2015 and 2016 compared to 2014 and 2015, which suggests that the changes being made to Chinese football are perceived favourably by the private sector. The Chinese government and the CFA have made it clear that growth of the Chinese football industry is a long-term endeavour. A central part of the plan is football education, the building of specialist football schools, and improvements in sports coaching and event facilities across the sector. As such, it is not surprising to see real estate, logistics companies and energy providers supporting the rise of Chinese football. On the demand side, football – like other spectator sports – sits more broadly as an entertainment product. Leisure and entertainment are key drivers of domestic consumption; however, in a globalised and digital age there is greater competition for people’s free time. It is therefore perhaps no surprise to see a considerable presence of firms operating in e-business, media and communication spaces. This trend also provides an indication that Chinese clubs see their commercial opportunity in the digital space. From fan-based communications to the development of products and services which facilitate and complement the consumption of the live event, digital platforms offer agile, measurable and engaging user experiences for fans. Although basic, these observations and the data presented give an insight into where investment in Chinese football is currently derived from, and who the key value-creating actors are in the market. The trends also highlight the broader market-shaping effect of regulatory changes, in the sense that they normalise the perceptions and functions of markets, creating opportunities and incentives for other entities to become involved. David Cockayne is a Senior Lecturer in Business and Sports Management at the University of Liverpool. He is also a fellow of the China Soccer Observatory. Image Credit: CC by Jack Tanner/Flickr. 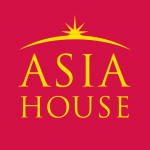 *Articles published by The Asia Dialogue represent the views of the author and not necessarily those of The Asia Dialogue or affiliated institutions.